Look at that tender crust! What is more American than an apple pie?? A cherry pie ? 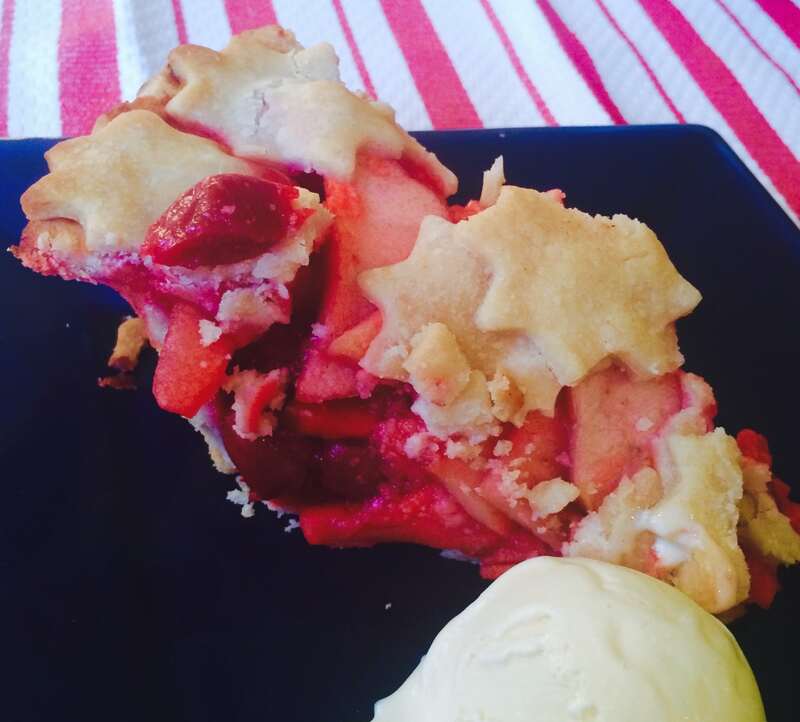 Being close to the 4th of July I wanted to make a pie to serve. I love apple pies (I mean who doesn’t??) but wanted something that looks more patriotic looking. I really like cherry pie, so somehow the marriage of the two flavors seemed to be a logical choice. Using both butter and a dollop of shortening results in a crust that’s flaky, tender and has a nice buttery flavor. The hardest thing with the crust is being gentle with it and not over mixing it. Mix it until it just comes together then put it in plastic to chill. I promise you, that if you don’t over mix it, when you roll it out it will come together. The filling on the pie has just a few ingredients, but wow it’s flavorful and yummy tasting. The cherries turn the apples a little bit red, but the apples and the cherries really work well together. The sweet cherries with the tartness of the granny smith apples, delicious!! My mouth is watering just writing about it! 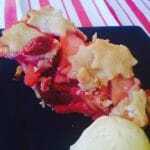 Need a pie for the summer? Apples and cherries are in season and they pair beautifully in this easy to make cherry-apple pie. 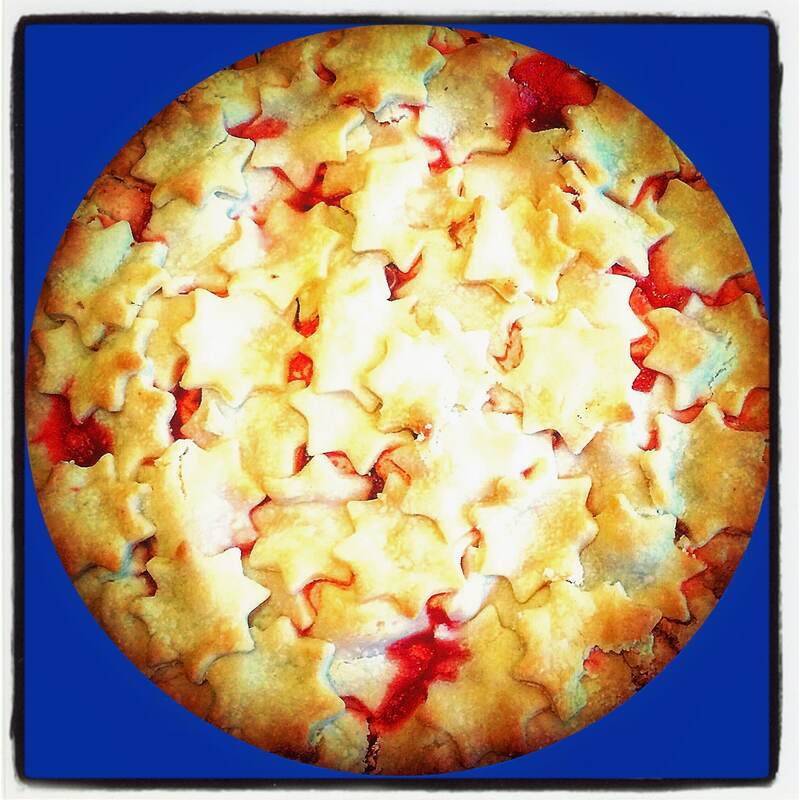 And a simple cookie cutter can make the cutest pie topping ever! In a mixing bowl place flour, salt and sugar and mix well. Slowly mist in ice cold water and mix with your hands until dough is just mixed together. DO NOT OVERMIX IT. The dough should be dry in some areas (imagine that later that will be flaky.) Mix it until it just holds together. You will not use all the water, use only enough to get the dough to hold together. Divide dough in half. Then shape into a disk and cover with plastic wrap and set in the refrigerator for an hour to chill. Begin pie filling after the crust has chilled. Peel and slice apples discarding the core, set in large mixing bowl. Strain juice from cherries and place cherries with the apples in the mixing bowl. Add lemon juice to cherry juice then add water to make 3/4 cup. Into the juice mixture stir in cinnamon, flour and salt until well blended. Then pour over cherry apple mixture and set aside for 15 minutes. Place one pie crust in the bottom of a pie pan with the edges hanging over by 2 ". 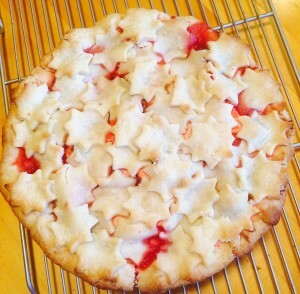 Add Cherry-Apple filling atop crust in pie pan. Mound fruit to the center. Dont worry, it will go down during baking. Cut 2 tablespoons of butter into bits and place over the top of fruit filling. You can pick any shape of cookie cutter for the second crust. As you are cutting them out place over the top of Cherry-Apple filling and butter dollops. The amount of cutouts you will need will depend on what shape you use. Overlap them as you place them, but leave a few open "vents" for the steam to escape it bakes. Once the pie is covered with cutouts bake at 400 for 50 minutes. You can remove the foil edging for the last 10 minutes. Let pie cool completely on a wire rack before cutting. If you don't have a spritzer bottle, you can add the water one tablespoon at a time. I added 3/4 c lightly packed light brown sugar, as the recipe called for none. The brown sugar made it great! 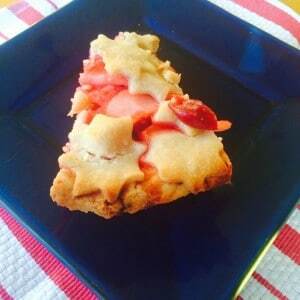 Made this into hand pies… it worked great! Love the tart cherries so much!